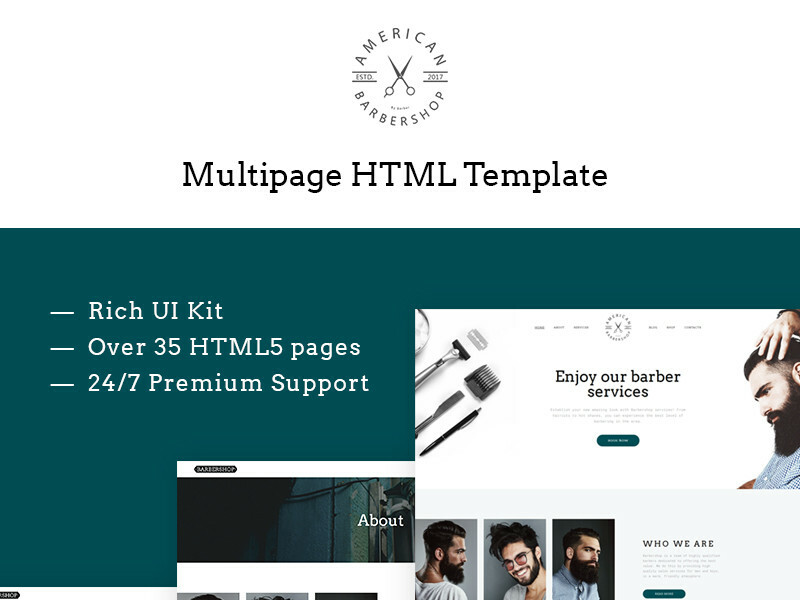 Barber shop multipage html template is a great responsive template for any website. This rich UI kit has 35 impressive html5 pages that make this bootstrap template great! Barber Shop Multipage Website Template at www.templatemonster.com is a device-agnostic, modern responsive design that is customizable. It's designed to work well on desktops, laptops, tablets and mobile phones. Want to set up an amazing website for your barber shop? We have a solution for you! Our responsive template gives you an opportunity to assemble the best website in the business! With our drag & drop website creator, you can easily set up your website without writing a single line of code!